I listen to sermons. I'm an uber-nerd. I embrace it. I'm convinced that preaching is an art as much as it is a gift or a skill and I enjoy it. Sermons do it for me. That's the set up for today's post. I was listening/watching a sermon on line this morning by a guy I really like. So much so that I subscribe to his podcast. But in the message I was following this morning he may have lost me. His message was about the presence of God, something I'm currently talking about on Sundays here in Raleigh. 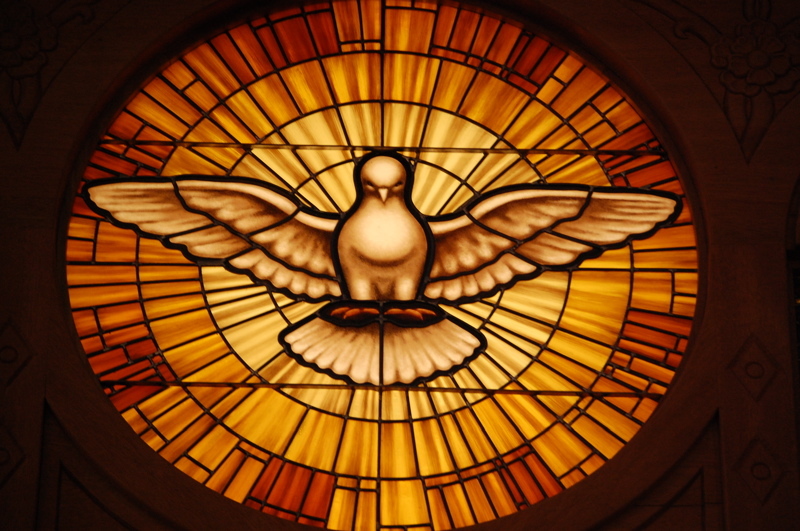 He took us to the baptism of Jesus and how the Holy Spirit descended on Jesus "like a dove." That's where the preach took a turn that - for me - left the tracks. What this means, according to this pastor, is that the Holy Spirit, like the dove, is easily put to flight. If, he said, you had a dove on your shoulder you'd be mindful of that dove and watch your movements so you don't frighten off the dove. The dove is just down right skittish as birds go. Other than ignoring the obvious symbolism of water and dove that every Jew would recognize, this is just plainly the opposite of the gospel. Jesus came into our mess, without any illusions about who we are and what we are like. The Spirit was poured out on ALL flesh and when Jesus promised he would never leave us or forsake us he didn't mean, "unless you do something to spook my Spirit. Then you're on your own." What makes the good news great is that the Spirit of God has come to transform us, change us from the inside out. The Spirit is the ultimate Christmas Present. God with each of us, God with all of us, right here, right now, even - maybe especially? - when I've horribly messed up. The Spirit doesn't come and go any more, that's why this New Covenant is so amazing - it's paid for in blood (Suzerain-Vassal Covenant style). If we tie God's presence to my good behavior it becomes impossible to explain all the miracles of the Bible, all the prophesy by broken men, all the signs and wonders by deniers, liars and ill-tempered. It IS a classic way to manipulate people's behavior, explain why someone didn't get their miracle or raise money. But it's not the Gospel of Jesus Christ. Into our mess he has come. Into our mess he will stay. The Spirit regenerating us like a planet full of Doctors is the greatest miracle of all and if he is scared off by my bad behavior or your bad behavior then we're all stuck. But we're not stuck - because even when I fail or you fail it's only the Spirit, not our own bodies or human conscience that gives us the want to be something more than we are. We are being transformed every day by the Spirit who isn't scared or put off by our brokeness, in fact, it's exactly why he was gifted to us. There's a lot I don't know but this I do, Jesus is brave enough to face all our mess, past, present and future. Because of his courage to look it straight on, I am now free and filled.